2Gen I.T Management Services – Managed I.T Services 2Gen Pty Ltd is a Managed Service Provider (MSP) that provides I.T Management services to small and medium businesses throughout Australia and New Zealand. Apex Shutters | Aluminium Shutters & Timber Shutters Gold Coast Affordable quality timber shutters at its finest servicing Australia-wide. We manufacture timber, aluminium, and thermalite shutters or blind systems to suit all types of homes and offices. C-Cure Systems – Residential and Corporate Security Established on the Gold Coast for more than 15 years, C-Cure Systems provides a broad range of innovative security services and solutions to corporate, commercial and residential clients across Queensland. DanceLife Australia DanceLife is a one-of-a-kind publication that’s now the number one destination for Australian dancers and performers. Eduardo Murillo Design | Small Business Web Design Gold Coast & Sydney Gold Coast based Website Designer, servicing Australia-wide. Specializing in creative & innovative web design for small business, trades, models, & entertainment professionals. Gold Coast Croatian Sports Centre Inc. The Croatian Sports Centre at Carrara is the major Croatian organization at the Gold Coast. Gold Coast Remedial Massage | Katrina Pearson Katrina is committed to providing quality and thorough massage treatments. Renowned for her firm pressure and effective results, Katrina combines massage with mineral replenishment for prolonged, superior results. Haynes Acupuncture Gold Coast Haynes Acupuncture Gold Coast. Your local Gold Coast acupuncture clinic for treatment of pain, fertility, infertility, IVF, stress, anxiety, and depression using acupuncture and chinese herbs. Koten Acupuncture and Moxibustion Gold Coast Providing classical style Japanese Acupuncture, Moxibustion & Traditional Chinese Medicine services on the Gold Coast. Liven up your event with exciting and fun BAHIA ALEGRIA dancers! 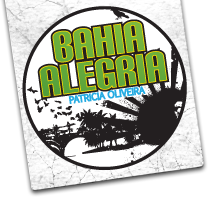 Contact Bahia Alegria to find out more about our classes or shows.